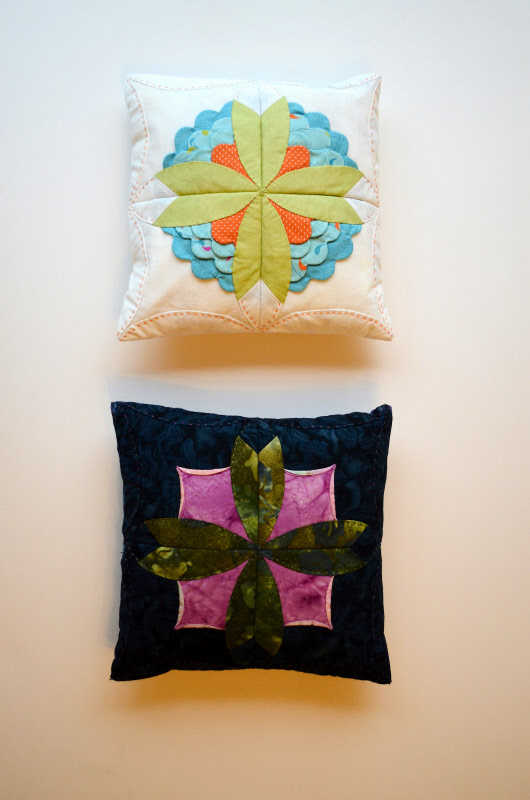 What a beautiful set of cushions using Sue Rhodes' favourite Japanese folded patchwork style. This technique is so versatile and they give an extra dimension to your work. You get the instructions to make both designs in the one pattern. They measure 12x12 inches.